I'm back! I had an amazing trip, but after traveling for almost 3 months, it feels good to be home. I've seen so much great design and I have so many new ideas. I can't wait to share them all. I'm also starting back into school, so I'll be able to share some of my projects with you. As I mentioned earlier, my big project now that I'm home is my very own bedroom! Instead of just diving in headfirst like I usually do on my own home makeovers, my husband has requested that I go through the whole process of design boards, renderings, etc. 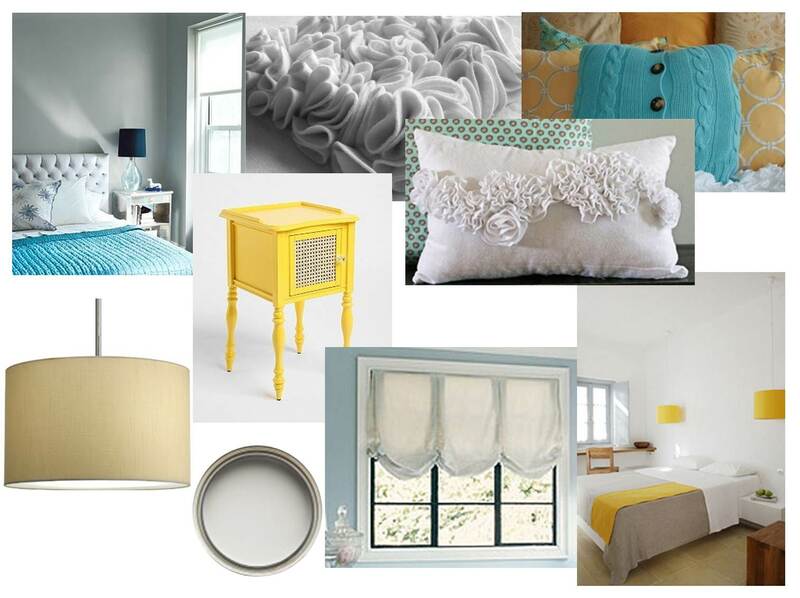 A Mood Board shows the beginning stages - a place to collect ideas and thoughts. It illustrates the feel or mood of the room without necessarily giving the actual pieces that will be used. While furniture pieces may be used, images of rooms as well as things seemingly unrelated to design my pop up as well; all combining to capture the abstract ambiance in a room. The Design Board is the final rendering - effectively a miniature reproduction of the room via pictures and samples. It is a more concrete display of items and colors. PS - Don't forget to check back tomorrow - I have a great guest post lined up from Arcadian Lighting!